Free shipping, lower 48 USA. 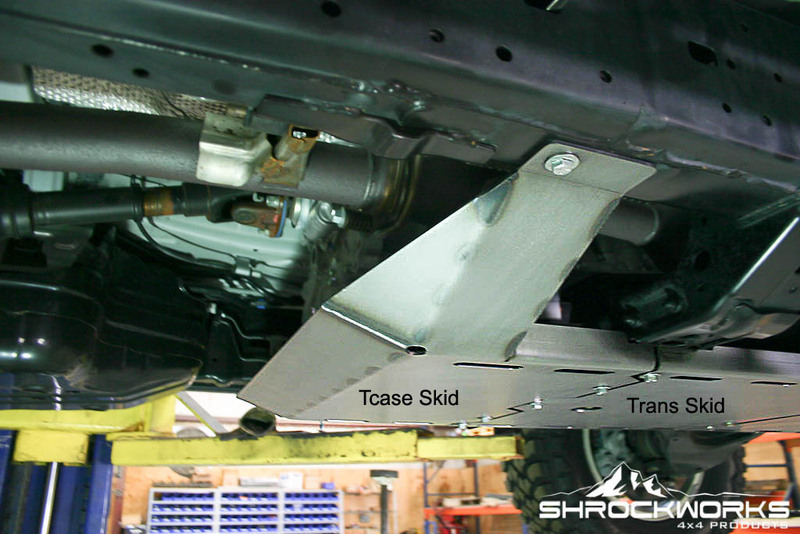 Put some REAL under body protection on your 4runner. 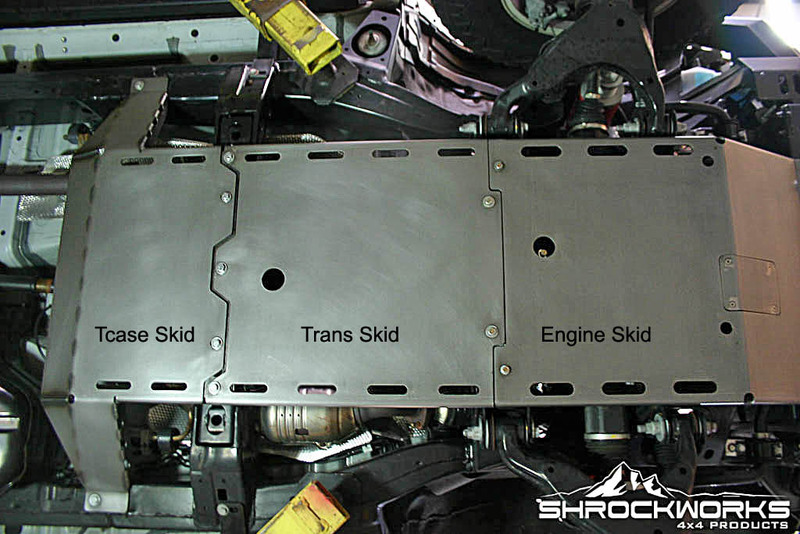 The factory 4Runner "skid plates" are better than nothing, but not much better. 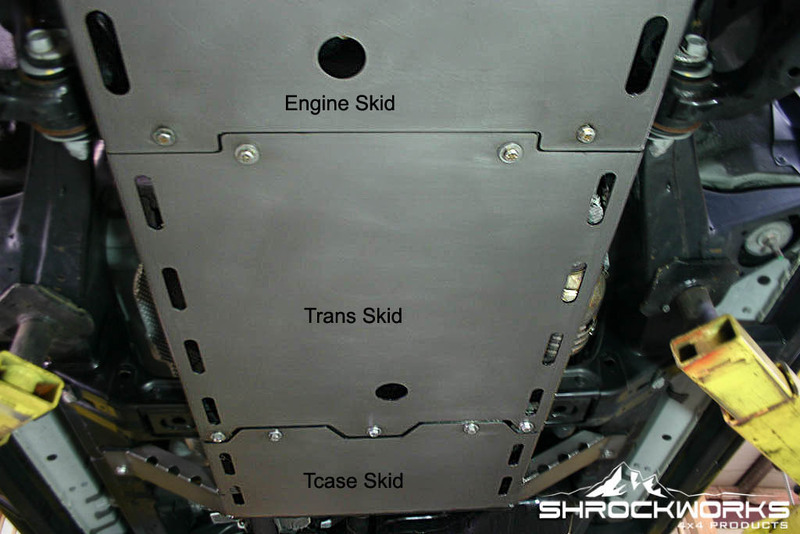 They are flimsy stamped sheet metal, and still leave a lot area uncovered. 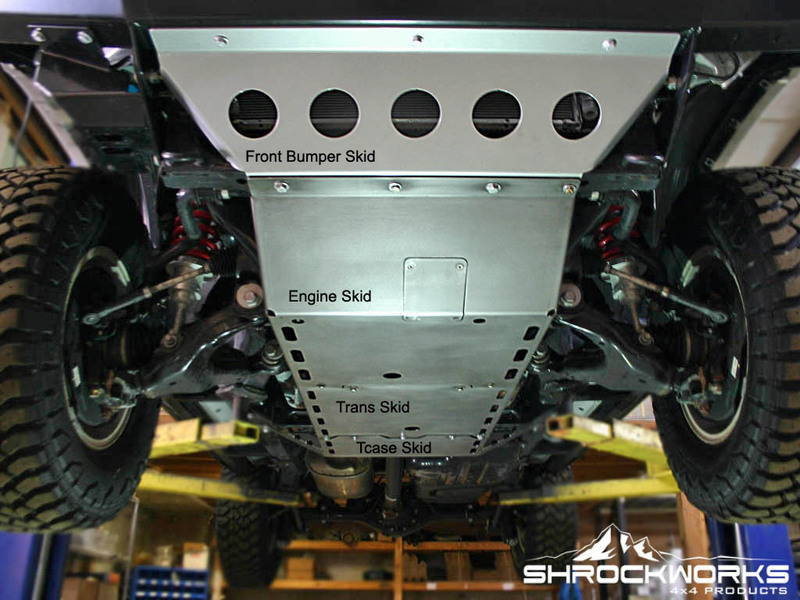 The ShrockWorks 5th Gen 4Runner skid plates are made from CNC cut 3/16" steel plate with bends and side flanges in the right places to add even more strength. 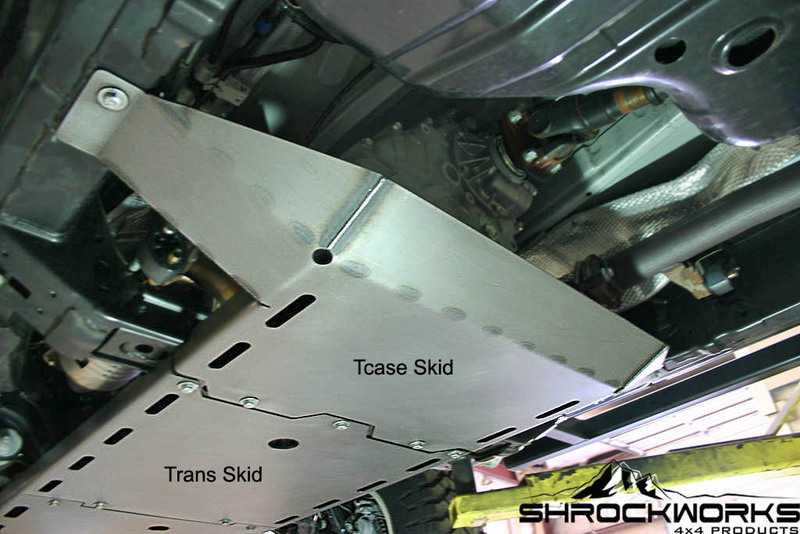 These skid plates will protect the vulnerable low hanging expensive parts on your 4runner. 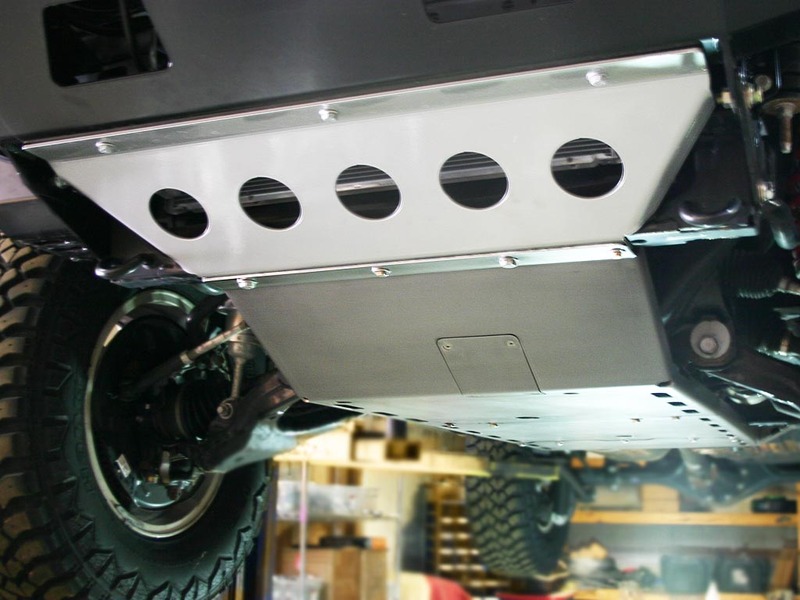 This is a good investment in peace of mind offroad. 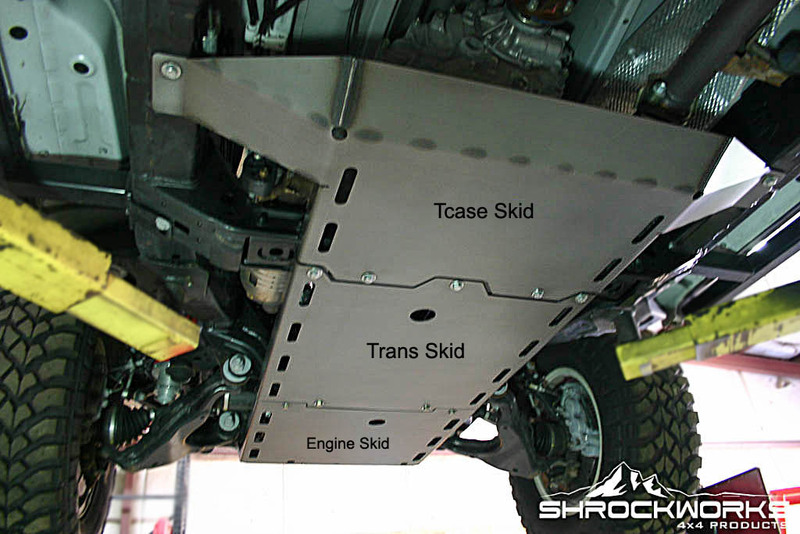 We recommend you order skid plates in bare steel and paint them yourself with Rustoleum rattle can "Hammer Tone" paint available at Lowes or Home Depot. 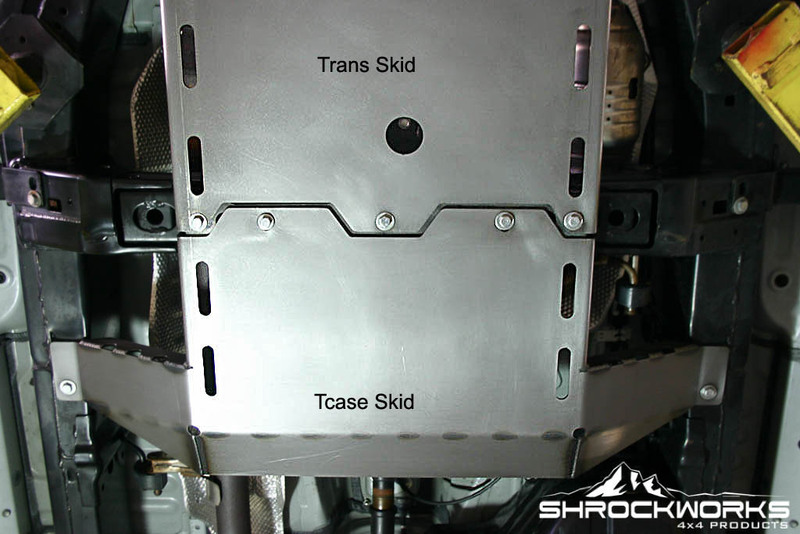 It will save you a good bit of money, they are not visible, and they are going to get beat-up and scratched-up anyway. scroll down and pick from the drop down menus. 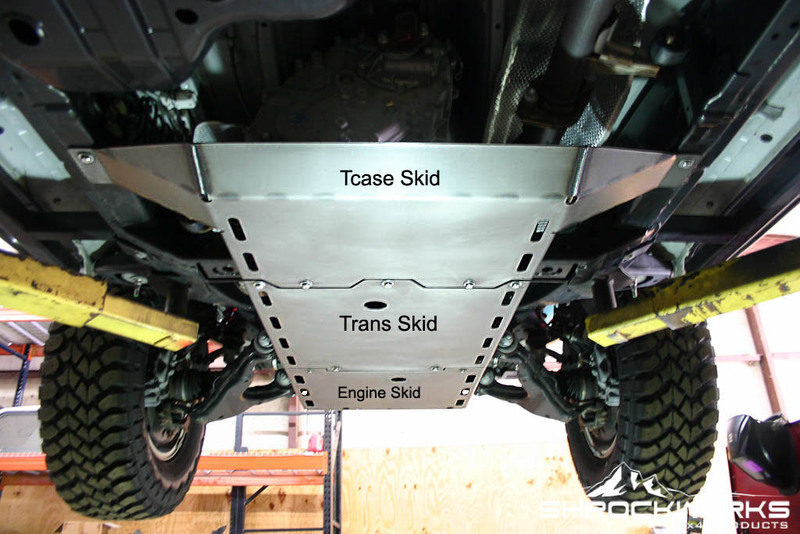 If you purchase the package of 4 skid plates and the cross-member, you will save $75.00 off the individual price. 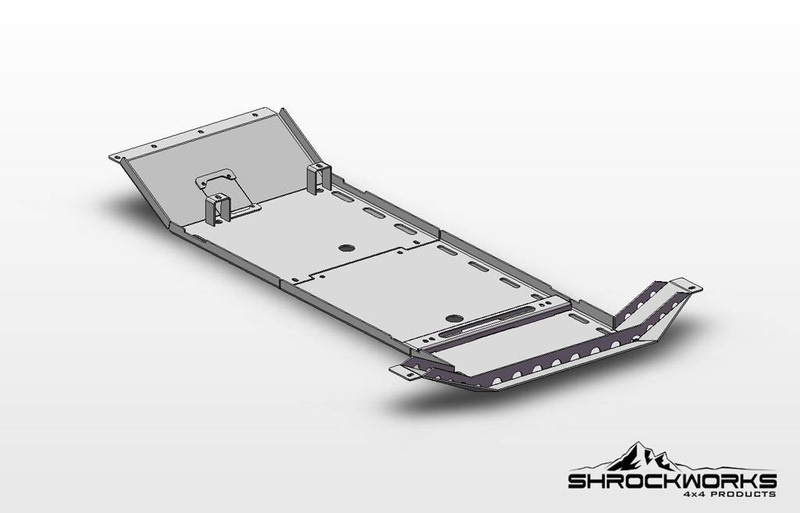 You will also have a smooth flat belly that easily slides over obstacles and be fully protected. Back again, yet this time for my brother's birthday/christmas. can't wait to see the amazing quality and design. I enjoy my 3rd gen's front/rear bumper and sliders every day! :) great work guys!